Before I get into this segment of Music News, I have a question. 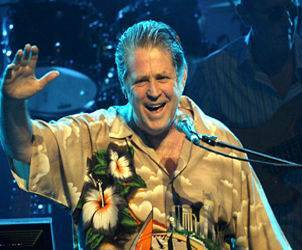 Why is it that the name Brian Wilson spawns craziness? Brian Wilson (musician) lost his marbles in 1969 and has been collecting these marbles ever since. And Brian Wilson (the SF Giants closer), is perhaps the most intense baseball player in the game and his beard is weird (to quote the Just For Men beard commercials). Anyway, Brian Wislon (musician) recently announced that he would retire from live performances in 2012, but before his last goodbye he may want to rejoin his old surviving band mates and run through his old discography. How cool would that be? “Good Vibrations” with the Boys of the surf. It would be the first performance for Wilson with his old band-mates in around 20 years. Do you think he will schedule some dates? I have to think Wilson will perform a few with the band before he retires from the stage. Driver’s Education instructors who want to promote safe driving should put Coldplay on to relax students getting behind the wheel for the first time. Seriously. Here is a little plug for an excellent “Consequence of Sound” review of Danger Mouse and Daniele Luppi’s Rome which will be released tomorrow. The album is truly excellent. Here is the Music Court review for another perspective.